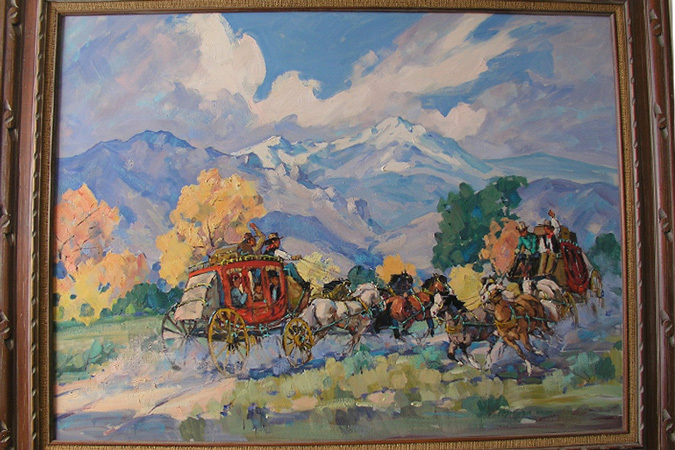 We have purchased 100's of original paintings by Marjorie Reed over the years and are the largest private collector of her work. 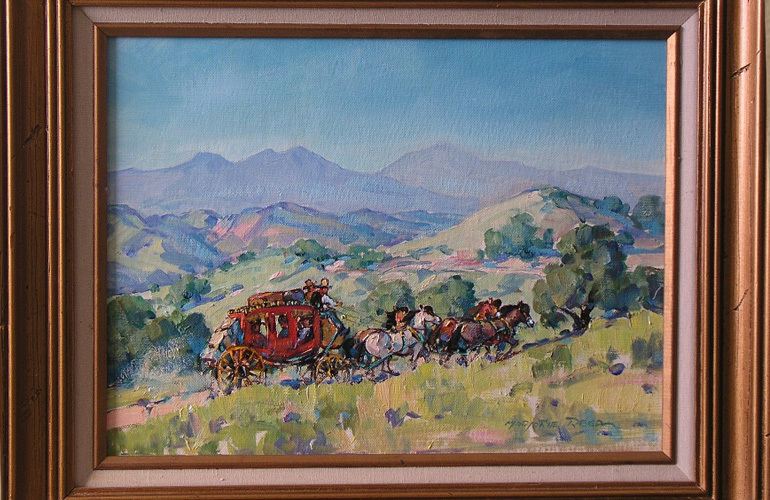 If you have a painting that you are considering selling feel free to give us a call at the above number or directly at 949.394.4178 or send us an e-mail to colbyburke@gmail.com include your name and phone number and we will be happy to discuss buying or appraising your painting. Our sites contain pictures of just some of her original artwork that we have collected over the years or that have been sent to us by other collectors like yourself. 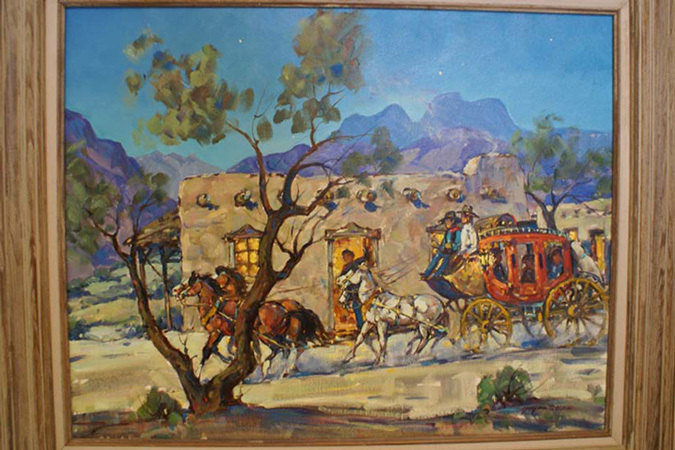 We have bought Marjorie Reed artwork for over 30 years. 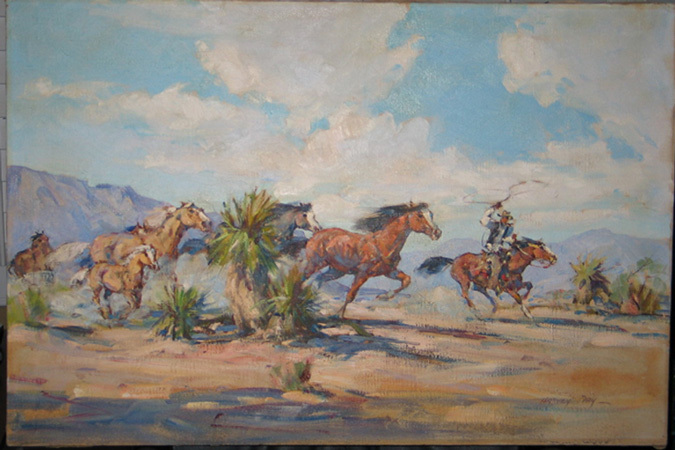 We personally knew the artist when living in Tombstone AZ an up to her death late in the 1990's. We have enjoyed collecting her work for years and enjoy sharing our love for her work. 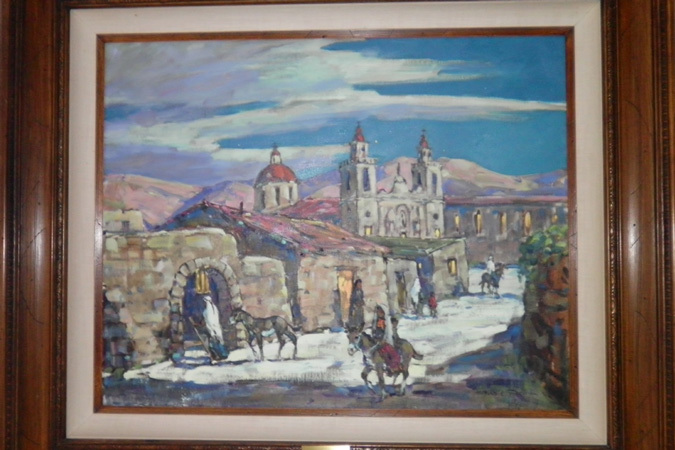 If you are selling one of her paintings we GUARANTEE to pay at least 30% higher than any other collector or art gallery. 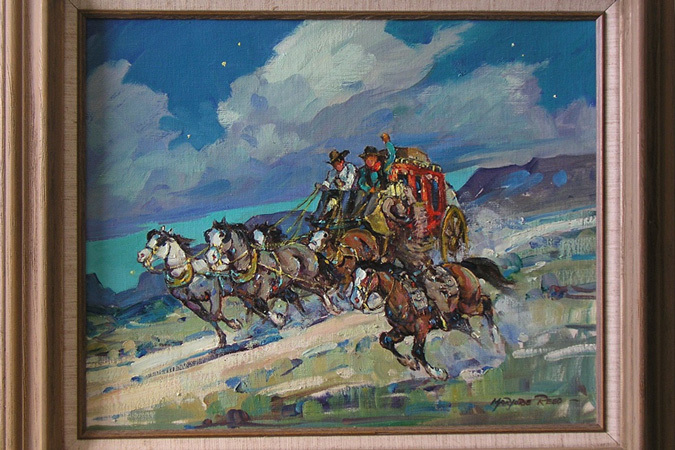 Marjorie Jane Reed was born in Springfield, Illinois and raised in Los Angeles, Marjorie Reed was a very successful painter and painted mainly western scenes, particularly Butterfield Overland Stage coaches and other scenes of cowboys, horses and figures associated with the Overland Mail Route. 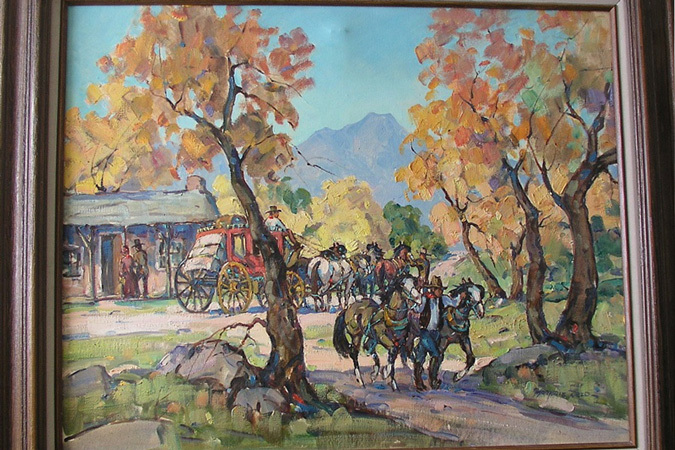 Marjorie reed signed her paintings with men's names including Harvey Day and Fred Day as well as Marjorie Reed or Ms. Creese. Her father, Walter Stephen Reed, a commercial artist, whom she later assisted in the designing of Christmas cards for the Mickey Mouse Beverage Company. She was so accomplished that shortly after, she was hired by Walt Disney Studios to do drawing animation. Her real passion was drawing and painting and grew tired of the work she did for Disney. In the 1930s, she studied at the Chouinard Art School where she studied under Jack Wilkinson Smith, a renowned landscape painters. She was encouraged to roam the country and find what she liked to do. 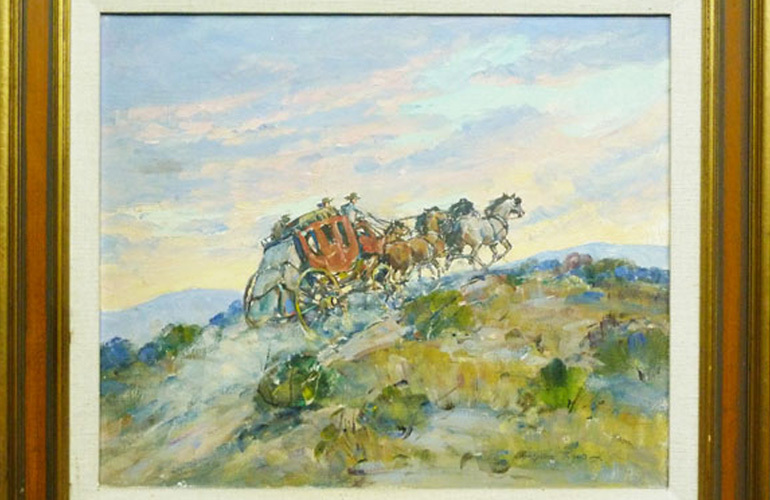 She became a friends with a Captain William Banning who had been a stagecoach driver for his father Phineas Banning. 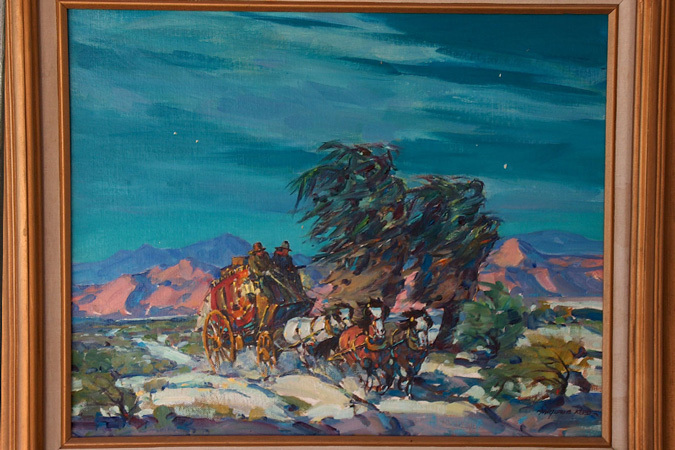 She was told stories about the Butterfield Overland Mail Stage, which, from 1857 to 1858, ran from San Francisco to the Yuma crossing on the Colorado River. 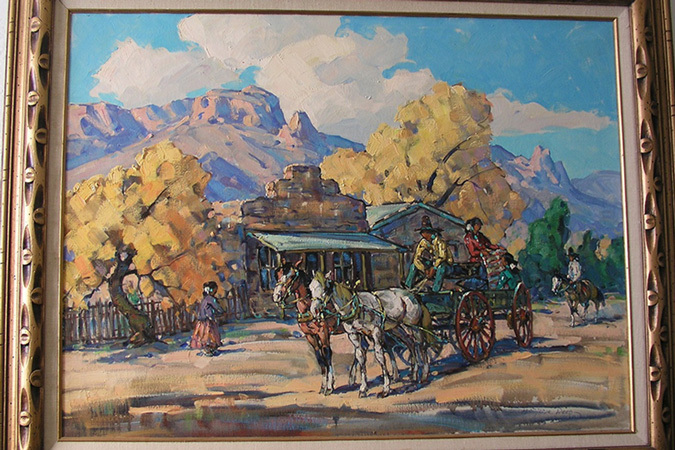 In her later years, she and her fourth husband, Cecil Creese, a miner, became residents of Tombstone, Arizona in 1963 after living in northern California on the Placer River. 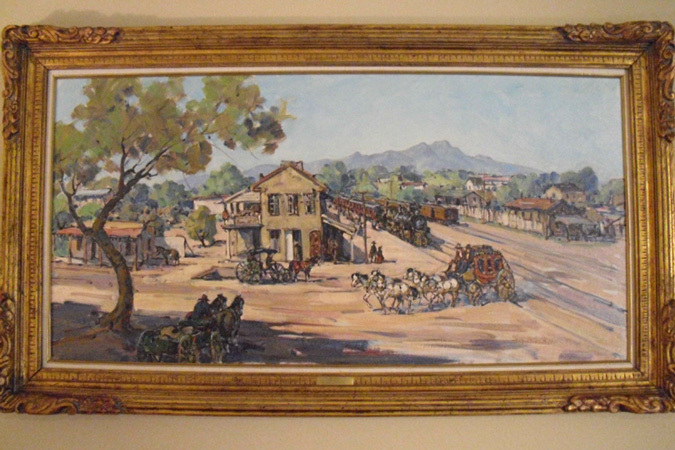 During her years in Tombstone Arizona she graciously taught young children as young as 5 years old how to paint. 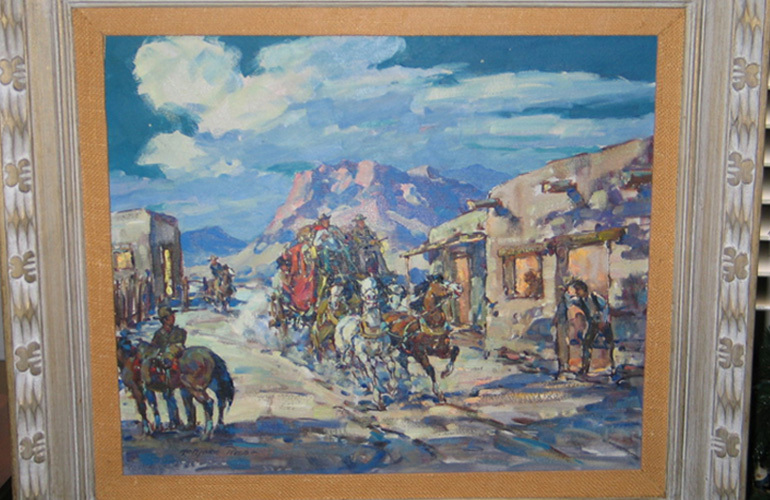 She lived modestly in an adobe style house outside of town where she also had a gallery. 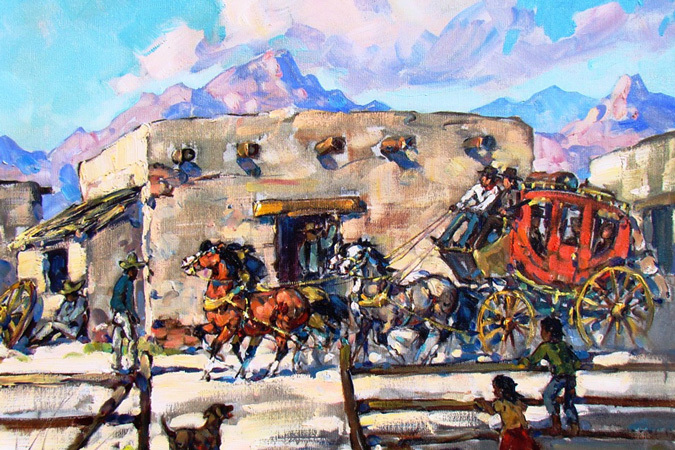 She enjoyed painting in Tombstone and the residence all appreciated her kindness and the amazing things she could do with paint. Most of her work she sold at her gallery which was also her home. She didn't advertise any of her paintings and if you ever saw her in town she always had a smile on her face. I'll be posting some of my art that I painted when I was 5-7 years old soon as well as pictures of what might have been of her last stage ride. Find out more about Marjorie Reed. 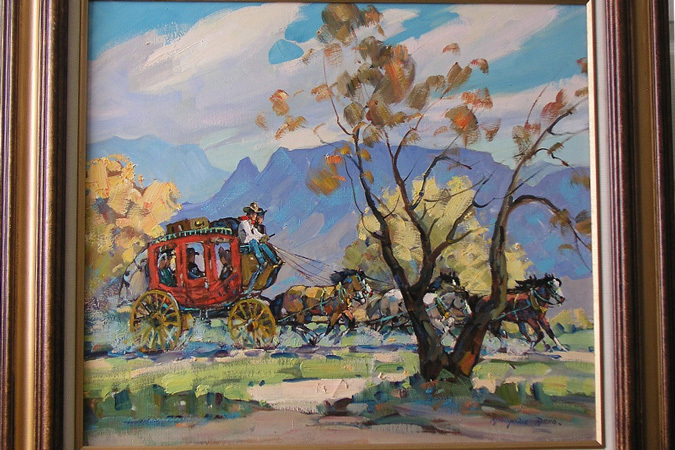 One quick story that I have to share that I have heard from more than a few people is that Marjorie Reed sometime didn't allow people to buy her paintings at her gallery and she actually told them which ones they could buy. I know of several artists that did the same thing and I know that she wanted the people to own her art if they actually enjoyed it. 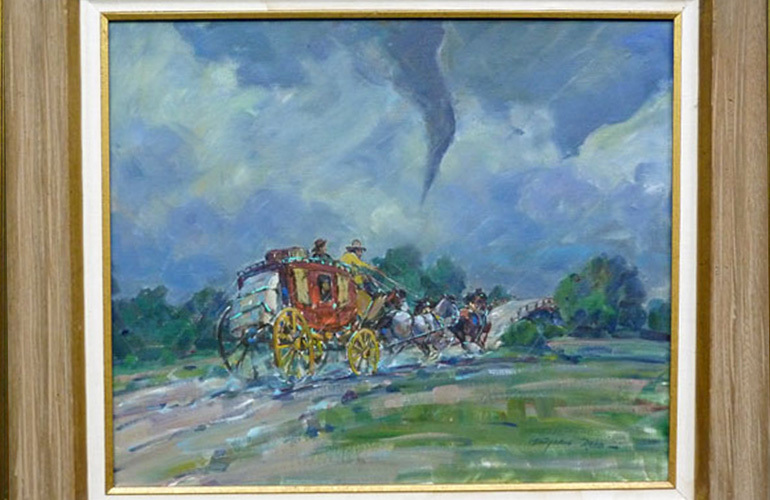 If you have a Marjorie Reed signed oil painting for sale or looking for an appraisal give us a call or email us for a honest assessment of your painting. 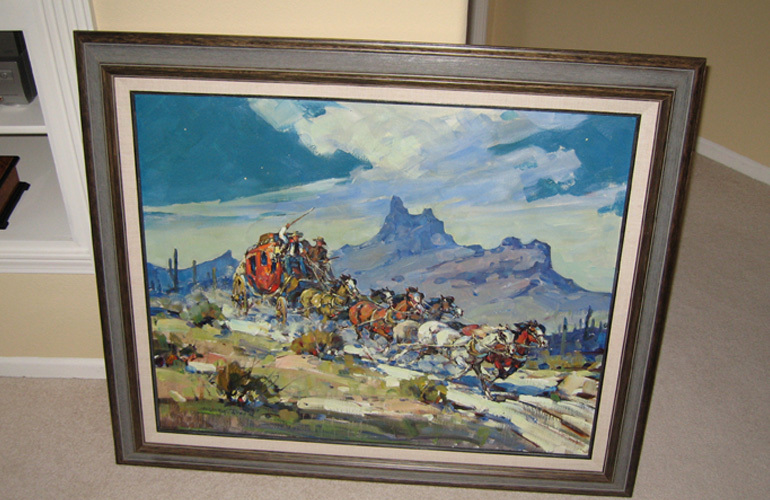 We buy 100's of paintings each year and are the largest buyer and seller of Marjorie Reed paintings in the US. If we don't personally want to buy the painting to add to our collection we have a network of buyers that would be interested. 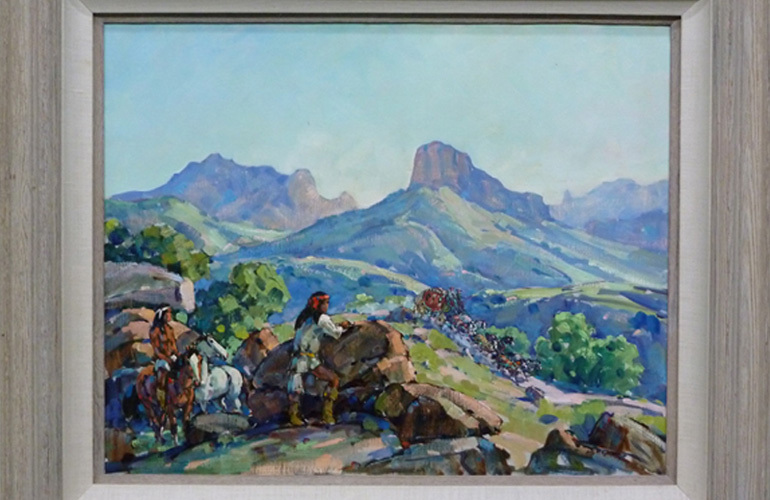 We buy single paintings larger than 6x8 to as large as 6 foot. 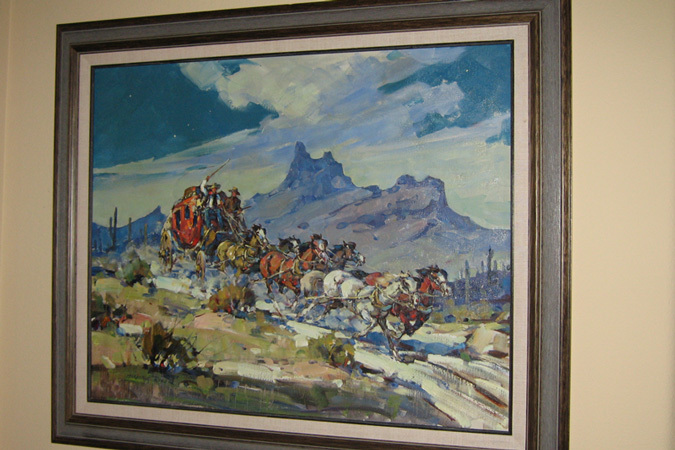 If you have a large collection and worried about shipping we can arrange a carrier to personally box up and mail out the paintings to avoid any damage.